Earlier version from Google for android was Android 4.4.4 KitKat which was released last September then showed off Android L at its I/O 2014 developer conference before officially announcing its final name and version number. Since the expectation over the Android L was huge, Google have made every possible steps to bring in great features with their latest OS. Android L features a radical new design, 5000 new APIs, will be available for developer previews soon, and it’s going beyond the mobile form factor. Android L will be contextually aware of its surrounding, plus voice is going to me a major input source. The highlighting features of this new Android L is the new battery saver mode. All android smartphone devices running on Android L when turned on with this mode it is sure to save more than 90 minutes of battery life between charges. Awesome right? However this feature has already been present in various manufacturers devices but it is now a part of the core Android experience. When coming over to the new Material interface, Google is also bring up major two new widgets. The first is a more power-efficient RecyclerView widget, which can be used for features like scrolling through Contacts. The second is a new CardView widget, which has a very Google Now-inspired feel and should ensure widgets run smoother. Another major update in L holds with notification. These pop-up on top of whatever you’re doing, meaning you don’t have to go to an app or drag down the notifications bar to find out what’s going on when your phone beeps. Everything comes on in the display without draining your battery. Each notification pops up as a little bar across the screen in high-contrast fashion, making them super-clear. It looks as though four different notifications can be displayed on the lock screen at once on a normal-size phone. Android 5.0 L gets some new battery features, including a reworked Battery Saver mode. Android 4.4 falls well behind the competition in this respect – where phones like the Galaxy S5 have extreme power-saving modes on tap, the basic Android 4.4 battery saver is rather rudimentary. The lock screen will also tell you how long your phone will take to charge when plugged in – a clever little tweak that seems so obvious now it’s in place. Android 5.0 Lollipop introduces another useful feature: a sandboxed personal mode, enabling you to use one device for both personal and work stuff just like Samsung’s Knox system. You’ll also be able to manage all of your app privacy settings in one place thanks to Universal Data Controls. 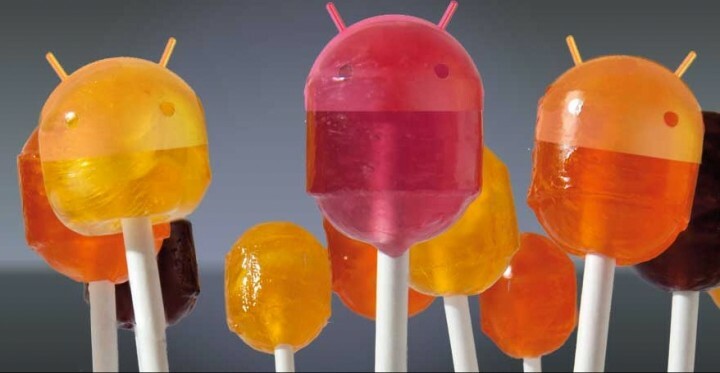 Android Lollipop will have encryption turned on by default for any device that has been updated to this version of Android. Encrypting your personal data will protect it from leaks, hackers and outsider invaders, which means that your videos, pictures, and other personal matters will be kept private.